Get The Look Of A Victoria’s Secret Angel With Red Carpet Manicure! As the official nail sponsor of the 2016 Victoria’s Secret Fashion Show, Red Carpet Manicure got to makeover the likes of Gigi and Belle Hadid, Kendall Jenner and Alessandra Ambrosio with a perfect pink gel manicure with up to two weeks wear! In this post, we can exclusively share with you the look worn by the Victoria’s Secret Angels at the iconic show, as celebrity manicurist Elle Gerstein shares her step by step tutorial! 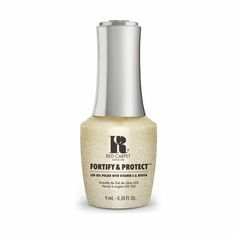 Step 1: After prepping nails, apply Purify Nail Cleanser to each nail with a lint free wipe, followed by Prep Max Adhesion Sanitizer. Step 2: Apply a thin layer of Structure Base Coat and cure under your LED Lamp for 30 seconds. Step 3: Apply one coat of Candid Moment and cure for 45 seconds under your LED Lamp. Apply a second coat for fuller coverage and cure. 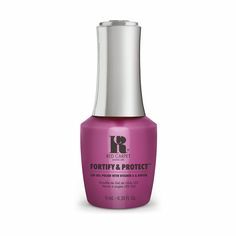 Step 4: Apply Brilliance Top Coat to seal in your colour and provide a high shine finish. Cure this under your LED Lamp for 45 seconds. Remove the tacky residue with Purify Nail Cleanser and a lint free wipe. Step 5: Using a nail tool, apply crystals and Nail Jewels to the base of your accent nail. Cure this under your LED Lamp for 45 seconds. Step 6: Using a thin brush, apply Brilliance Top Coat between each gem to adhere them to the nail. Flash cure this under your LED Lamp for 10 seconds and remove tacky residue with Purify Nail Cleanser and a lint free wipe. And there you have it – the look of a Victoria’s Secret Angel! Make sure you share your new look with us over on our Facebook, Twitter, Instagram and Pinterest!